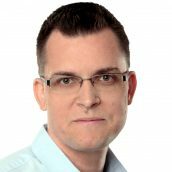 Zoltán Ormándi is a lead developer and architect with over a decade's worth of experience in software design and development. His interests range from infrastructure management through continuous delivery to development workflows but his real passion lies in clean code and elegant design. In this workshop he brings his real-life experience and breathes life into the theory by providing first-hand examples and practical applications from his own past successes (and failures). Participants are expected to bring their own notebooks. The programming language of the course is to be agreed upfront.